Scandinavia is a popular travel destination. In the Scandinavian countries, you'll find vast and beautiful wilderness with glaciers in the north and forests and lakes in the south. The cities are fascinating, clean, and attractive, and are a draw for travelers. While you can take a train or bus through Scandinavia, many opt to drive themselves. Before heading out on your trip, there are some key things to know about driving. To drive, you must have a valid driver's license and passport and be 18 years old or older. If you are driving your own car, you must have your insurance card and car registration. 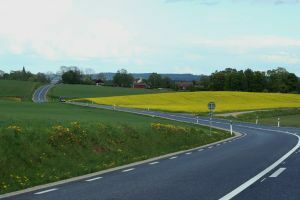 The general speed limit for residential areas is 30 kilometers per hour (18 mph) and for open country roads, 80 kilometers per hour (50 mph) is identical in all Scandinavian countries with Sweden allowing a slightly higher speed. Lights need to be on at all times. Dipped headlights, or low beams, during the day, are a requirement. All Scandinavian countries require that you wear your seat belt. Drunk driving is not tolerated, and acceptable levels are very low. High fines await violators, and drunk driving in Scandinavia will land you in jail. For example, In Sweden, driving a motor vehicle with a blood alcohol content of minimum 0.02 percent or more, or a breath alcohol content of 0.10 milligrams per liter or more, is considered a crime. Driving under the influence of drugs is also not tolerated. When driving, know that trolleys and buses, as well as disembarking passengers, have the right away. There are four types of roads in Scandinavia and each type has its own designated speed limit. The speed limit is displayed on a round sign with a red circle outline. The standard speed limits should be followed unless a sign indicates otherwise. Residential areas are usually marked 30 kilometers per hour (18 mph). Urban roads usually have a speed limit of 50 kilometers per hour (31 mph). Non-urban roads have a speed limit of 80 kilometers per hour (50 mph) and in Sweden 70 kilometers per hour (43 mph). The Going Abroad app, administered by the European Commission, has information about important driving facts such as laws in each country about speed and alcohol limits, traffic lights, seat belt rules, and distracted driving. You'll also find the laws about wearing helmets on bikes and motorcycles. Do You Need a Converter for Electrical Outlets in Scandinavia?